One of my favourites, the beetroot. The evening started out as predicted: the now familiar little stool was offered for me to put my bag on. Still a lovely touch. The Champagne, consome´, amuse bouche, bread - all effortlessly delivered. There is something familiar about all of this. And then it happens. My evening takes a different turn. 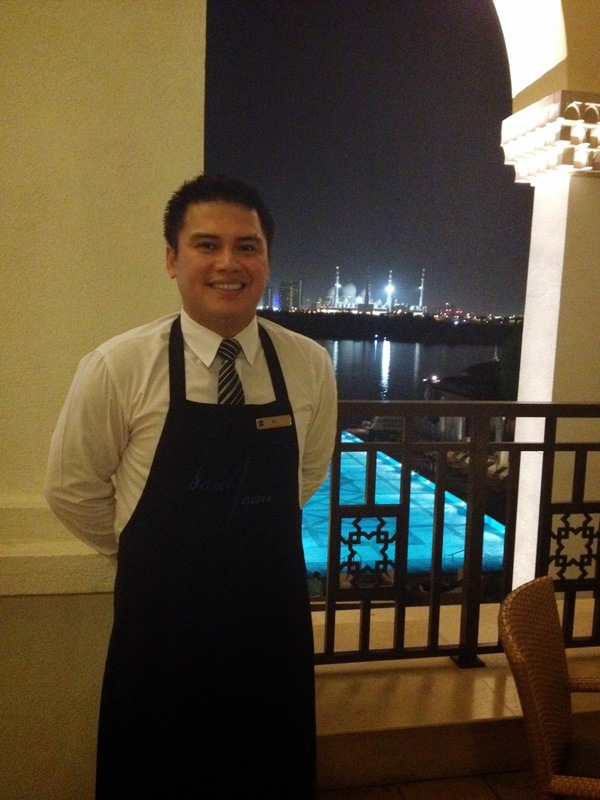 PJ, one of the waiters on duty for the night starts to engage me. I sit back. Listen. My fabulous and visually stunning beetroot, salad, comte, walnut cream and pumpernickel remains untouched as I listen to him. A warm glow washes over my face. I wonder if he has noticed. Finally, I think to myself, as PJ talks, solicited, about his beginnings as a school boy who showed an interest in Food & Beverage, to the young man who then spent 6 months in Singapore receiving training. PJ exudes something that I have experienced in short supply at Bord Eau on two previous visits. Luck of the draw sometimes in terms of who gets to wait on you. There is a boldness yet humility about this waiter, just nominated for Waiter of the Year at the Middle East Caterer Awards. All these qualities are backed up by an indefatigable knowledge of his product. 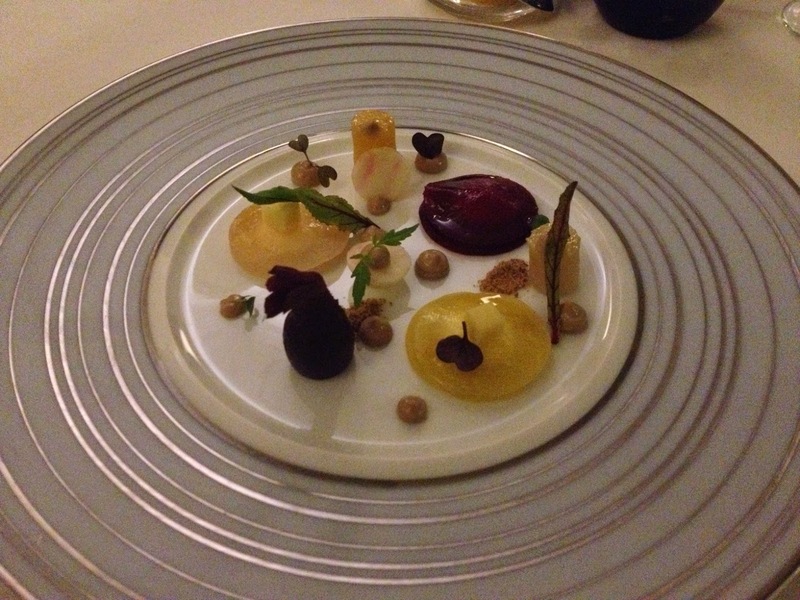 I start to enjoy my beetroot dish. Really enjoy it. PJ - self assured but so down to earth. I look over the canal. I reflect on the gorgeous evening, warm but with a reassuring breeze. I am feeling indulgent and I ask PJ to describe my dish again. I love it. There is no training manual here. I listen to a waiter who has absorbed the menu, tasted the dishes, and who connects with what he says. 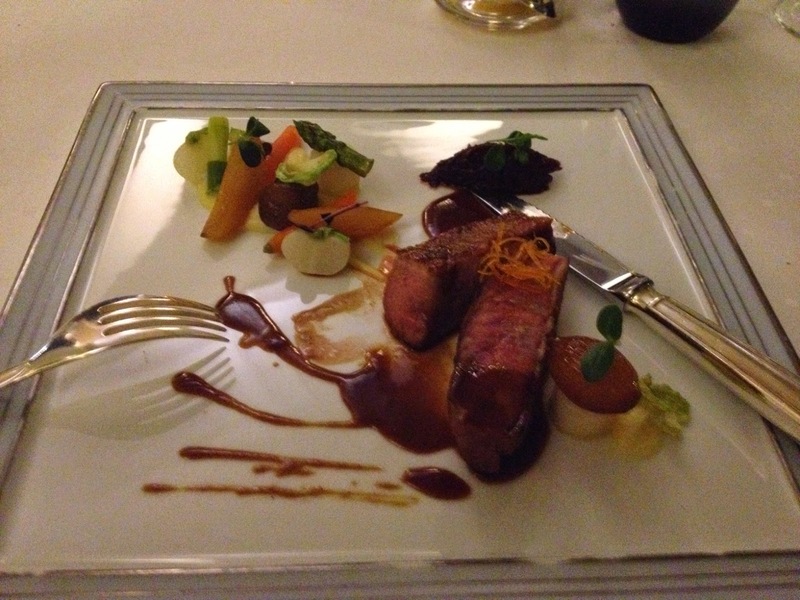 I now eagerly await my main, the duck breast a'lorange with caramelized quince, candied chestnut. As usual, Chef was in fine form. While I am still in deep thought after my encounter with PJ, I am reunited with Saw, whom I had the pleasure of meeting on a previous visit. He has taken on the responsibility of providing wine pairing for diners. Saw, a Burmese native, comes across as quiet and diffident, but packs a mighty punch when he starts taking about wine. 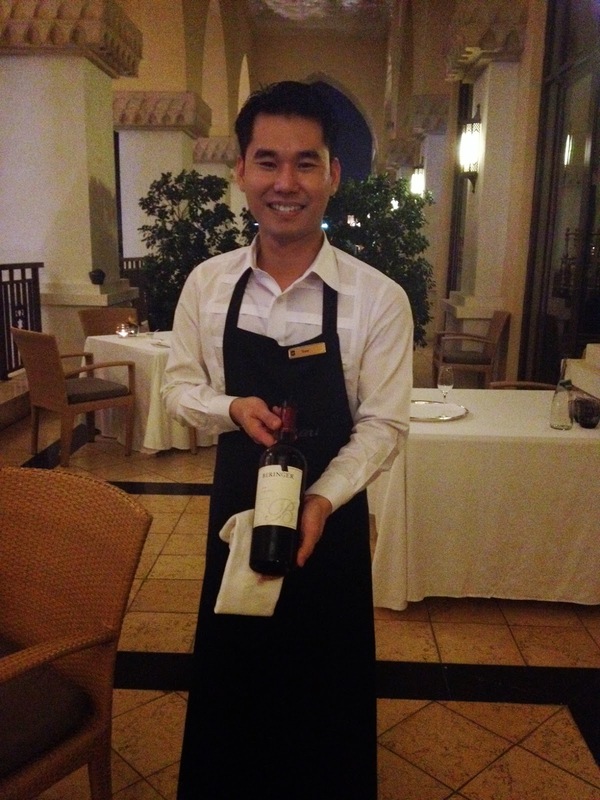 He suggests the Beringer Zifandel 2006, a medium bodied Californian wine with notes of cherry and black pepper. Saw talks about the region and climate where this wine is grown and explains why it is a favourite wine of his. He talks about the notes one can expect as it swirls in your mouth. This is it, I think. Where I liked Bord Eau after my first visit, I was now in love with it. Finally, I had encountered waiting staff to complement the fine dishes produced in the kitchen. At last, I had met and engaged with waiting staff who reflected the knowledge, efforts and perspective of the restaurant manager. Finally. My duck is cold. In my heart I apologize to Chef, but I am celebrating too. The missing element to my previous dining experiences was there. Sommelier in the making. Ask for Saw on your next visit. For dessert, predictably, I choose the chocolate extravaganza. 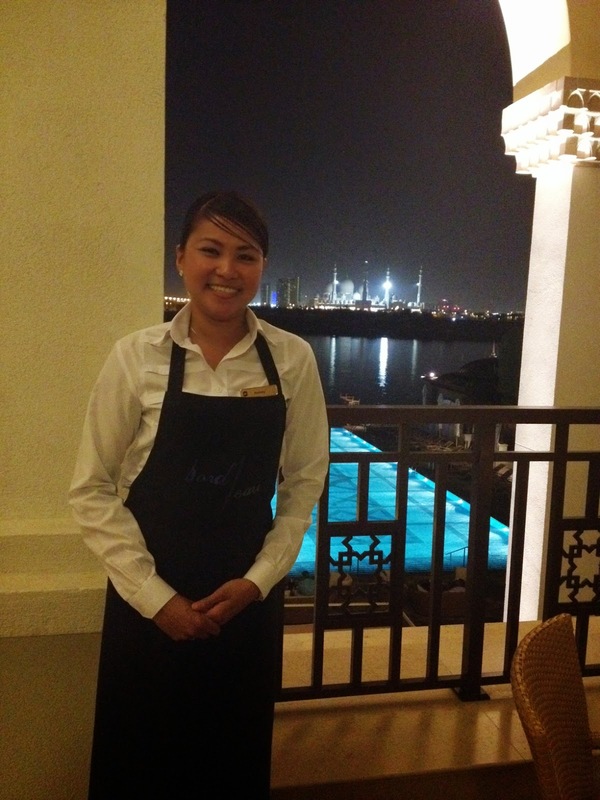 I meet Honey, another waitress on duty, decked in signature Bord Eau uniform as well black stockings and heels. She is all elegance as she walks across the floor. Having recently moved here from the award winning Pearls & Caviar, another stellar Shangri-la restaurant, she already complements the waiting staff well. A self confessed lover of wine, her passion for what she does comes through when she describes to me my dessert, in deliberate language which allows me to taste the chocolate even before I have scooped it up. My evening is complete, and so is my story: Two waiters and a waitress! Honey, adding more than just femininity to the waiting staff. I ask for forgiveness for letting the splendid dishes take second place to the service on this night. It was an evening in which my own education of what makes a good waiter or waitress continued. Perhaps there was a poetic quality about the fact that my dishes were similar to what I enjoyed on my first visit to Bord Eau. ( http://bit.ly/1lpaKoY) On this night the waiting staff provided what I missed on that night; the so-called x factor or the missing ingredient, to use some cliches. What started out as a predictable evening tuned out to be anything but that. It was an evening when something changed. Something really good got even better. Much better. Much, much better.